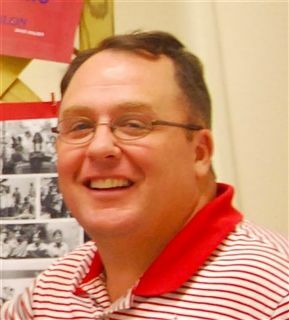 The O’Neal School is excited to have Jeff Haarlow ‘92 as varsity boys basketball coach and physical education instructor this school year. Jeff served as assistant coach for varsity boys basketball for the past two years. Jeff earned a B.S. in physical education and sports management from Berry College and went on to achieve a masters degree in health and physical education from Jacksonville State University. "The O'Neal School is such a special place to me having grown up running the halls and playing in the gym,” says Jeff. “I am excited about the opportunity to teach at O'Neal and give back to the school that has meant so much to our family." Jeff graduated college having two years of basketball playing experience, two years of coaching experience in addition to earning All-American status while playing on the golf team (1st runner up for the national tournament his senior year). After graduating, for one season Jeff followed his head coach to University of Alabama in Huntsville and then returned to Berry College to assume the position of top assistant coach and stayed in that position for four seasons. After which he took the head coaching position in April of 2002 becoming the youngest four-year college coach in the nation. He served as head coach for eleven years. As a finale to his college coaching career, he was head coach for Tennessee Temple University in Chattanooga, TN. His team fell short in the USCAA National Championship game, after a great battle for the title. Jeff was named “Coach of the Year” for the conferences of both of the college teams that he coached. Presently living in Pinehurst with his family, Jeff is owner/founder of Haarlow’s Hoops Academy and is also a lead instructor for Breakthrough Basketball Camps. O’Neal plays in Division 2A of the North Carolina Independent School Athletic Association (NCISAA) and is a part of the Eastern Plains Independent Conference (EPIC). For more information on attending The O’Neal School, please click HERE.